Yes you heard it right. 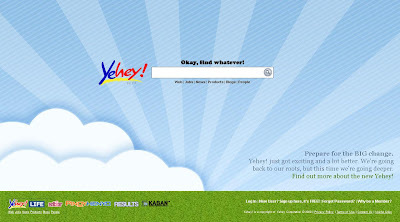 Yehey.com known for being the country's authentic pinoy portal had decided to go back to what it is before. Despite tracing back their roots, Yehey.com assured everyone that Yehey is still moving forward. After 12 years of continuous content giving service to the public, the new Yehey Search will go deeper to provide users more relevant, faster and even better search facilities. Yehey goes vertical! The new Yehey search provides streamlined and significant results fast that is more focused on Philippine and local websites making each result more relevant to its primary users, the Filipinos. 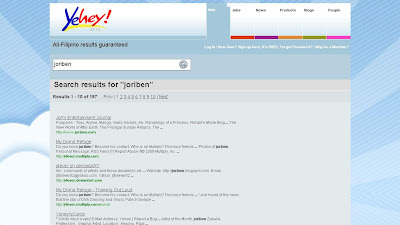 With search tabs like Web, News, Jobs, Classifieds, researching has never been this fun and easy. So what happened to Yehey's channels? Don't worry, they are not gone. In fact, they all evolved in to individual more topic focused websites. New brands such as Stir.ph handles entertainment and showbiz news, be the first to get results from Bar exams or Lotto Draws from Results.ph and ask questions or help other on their research in Pinoyhenyo. Yehey had also built a massive community of users that interacts online through forums, message boards and chat so they created Yehey LIFE to further strengthen the bonds of every Yehey user. 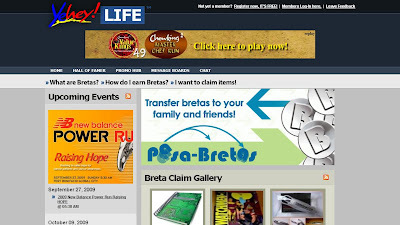 Of course the Breta System which will still enable Yehey users to purchase items from the promo hub is still retained to give rewards to those who keeps there loyalty to Yehey. And lastly Yehey Blog is created to update everyone regarding the latest buzz on all other lifestyle, travel and gadgets news. Wow, this is really a big change. But Yehey promised that they will continue taking the risks and evolve just to please the people that makes them what they are now. Yehey want to hear your suggestions. please email them on this address: search@teamyehey.com and let them know what you think about the new Yehey.